Consumers are constantly torn between the quick rush they get from impulsive purchases and their pressing need to pay off debt. Whether it’s a tempting candy bar at the checkout or that perfect-fitting pair of jeans tried on out of curiosity, 88% of people surveyed by CreditDonkey.com admitted to buying things they don’t need or didn’t plan to buy. 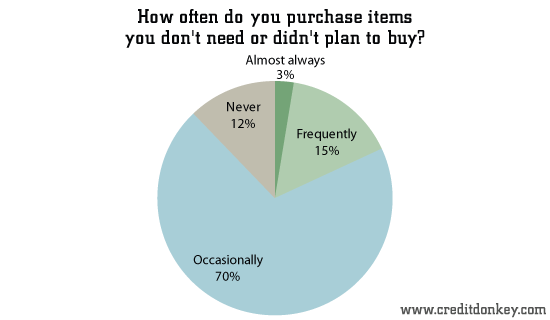 However, most of them (84%) also said they would rather save money for purchases than buy them on credit. How to reconcile the push and pull between your wants and needs? Here are some tips on how to spend wisely but still manage to have fun too. To temper your impulses as much as possible, come up with a plan and do your best to stick to it. Start with a list of stores you plan to visit and look at their websites. The more your familiarize yourself with the merchandise ahead of time, the less likely you’ll grab something that just isn’t that great or that you don’t even need. If you know yourself well enough to know that no amount of planning or discipline will halt your impulsive buying, then put unplanned purchases in your budget too. For example, allocate $50 per month to unplanned purchases, and keep track weekly to see how you’re doing. Know that if you go overboard with impulse shopping during the first half of the month and spend $40, you’ll have to cut back and be a shopping planning expert for the second half of the month because you have only $10 left. Another way to give yourself some freedom with your shopping budget is knowing where to find deals. Look ahead of time for printable coupons you can use, and see if your favorite retailers have upcoming sales. 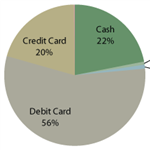 Look at your store credit card accounts to see if you have rewards you can use toward your purchase. This works for online purchases; Amazon.com and other retailers let you use rewards you have earned from their branded credit card to cut down your final bill. 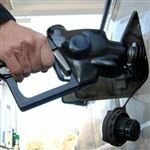 Of course, even with the best of intentions, we all fall victim to the occasional unplanned purchase, but there are ways to help you stay on track. In addition to making a list of stores, it’s also great to have a list of the specific items you intend to buy. This will help shop only in those sections you need to visit and reduce the aimless wandering that could lead to impulse buying. Especially for your favorite stores, chances are you already know where things are, so you can mentally map out your route before you get there. This can be incredibly helpful in department stores and grocery stores that have a larger selection of products to tempt you. A particular pitfall area is the checkout line. Full of all sorts of candies, trinkets, and last minute “needs,” the area around the cash register is set up specifically to entice impulse buying. Giving in to a Snickers or tube of ChapStick every now and then certainly won’t break the bank, but be careful not to do this every time you go shop. You’ll end up with a pile of unplanned expenses of little to no value. 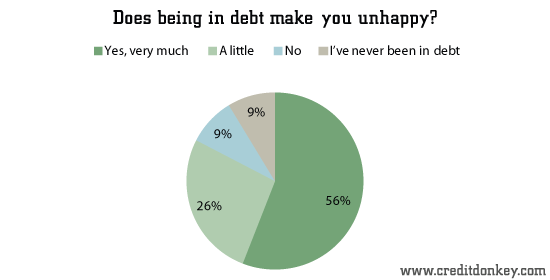 The majority of consumers (56%) told CreditDonkey.com in our survey that being in debt makes them unhappy. That unhappiness can last longer than the short-lived shopper’s high, which fades after impulsively bought clothes are put on their hangers. These tips will help you think twice at the checkout line and find the right balance between shopping for fun and paying off your debt responsibly. 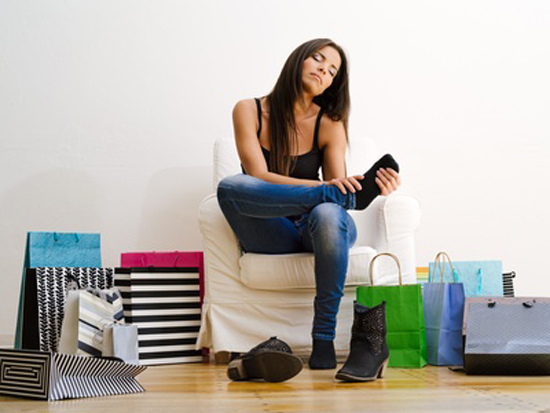 Share on Facebook "Impulse Buying Statistics: Curb Your Desire to Shop"